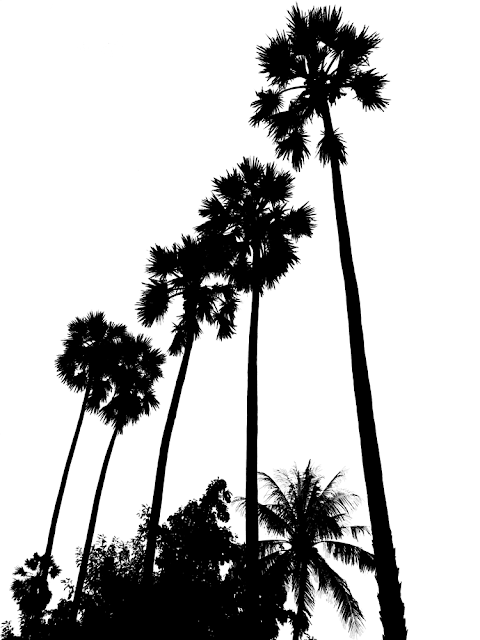 These are silhouettes of tall coconut palms and higher resolution silhouettes are available. This one is a simple black and white silhouette with the spindly and long trees reaching up to the sky. Their height can be gauged by the smaller trees at the base of the image. 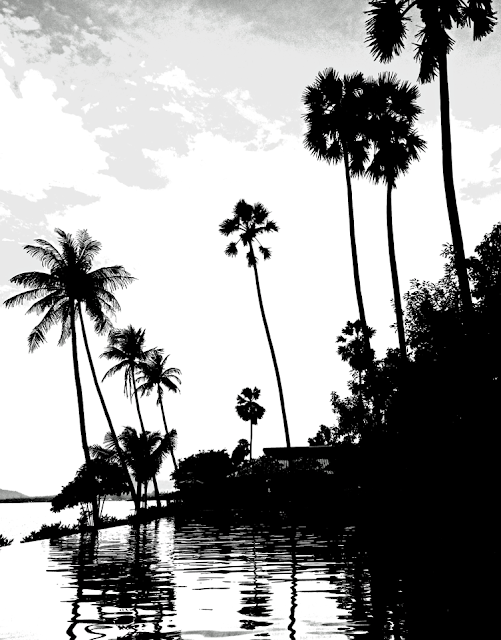 A grey, black and white silhouette of a nature scene with tall palm trees moving in the breeze and grey clouds in the background. 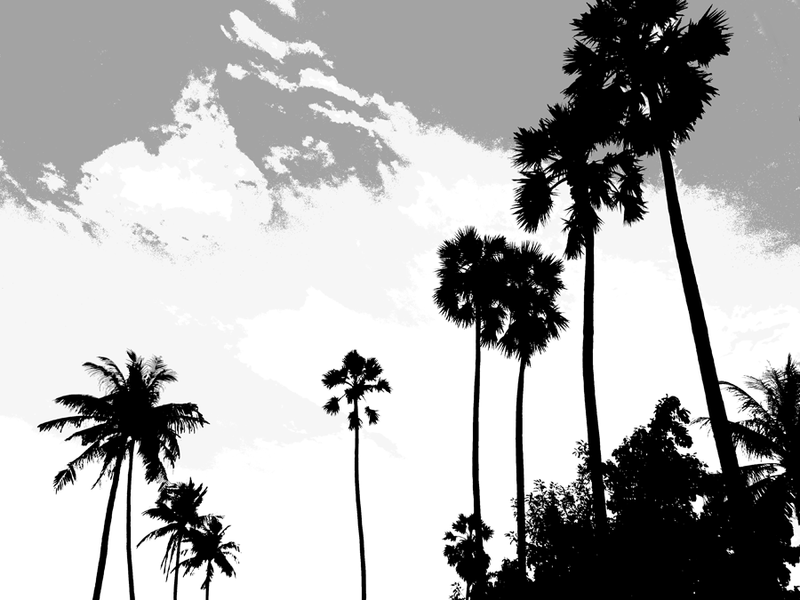 A scenery silhouette of tall palm trees in varying shades of grey, black and white. Clouds in the background and tall coconut palm trees in the foreground alongside a small swimming pool with the water reflecting the tree silhouettes. There are many different type of silhouettes on this blog, like Silhouettes of birds in flight or Temple Silhouettes and Church Silhouettes. There are a lot of silhouettes of people, men and women, engaged in different activities and also silhouettes of objects. Check out all the Silhouettes available.